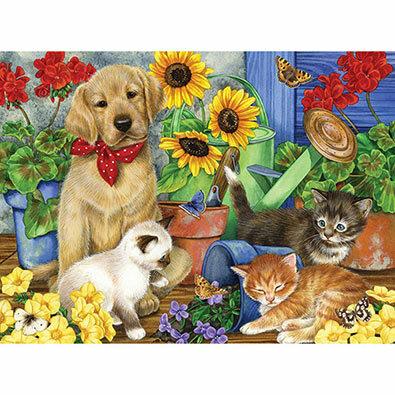 This 300 large piece jigsaw puzzle is designed by Liz Goodrick-Dillon and measures 46cm x 61cm. Available in two piece count. This 300 large piece jigsaw is designed by Liz Goodrick-Dillon and measures 45 cm x 61 cm. Three children stumble down the stairs Christmas night to see the man himself in action. Available in two-piece counts.